I just can’t help the urge to continue minimal updates for the warmer weather. Weather really affects my mood and of course sunshine leads me to be more productive. Fast forward to a few weeks ago, and as I was doing a little Spring cleaning, I realized the fabric seemed dirty. I also felt that I wanted a solid fabric, instead of patterned, so I headed to Hobby Lobby to get new fabric. I came home with a heavy duty linen, that had a slight gold and silver sparkle. I paid about $6 for it. I didn’t even bother pulling the old fabric off. I just got my hot glue gun and got to work. 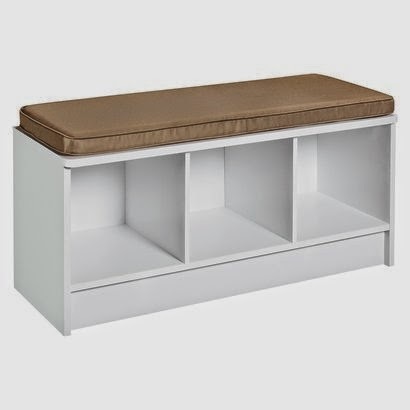 Remember, that a quick reupholster can refresh a chair, bench, footstool, or even a pillow, even if you don’t know how to sew, like me:) A glue gun can solve that problem. Spring always has a way to bring out the creativity and the urge to update for the beautiful days ahead. Especially after what seemed like a long and ugly Winter. So go for it! 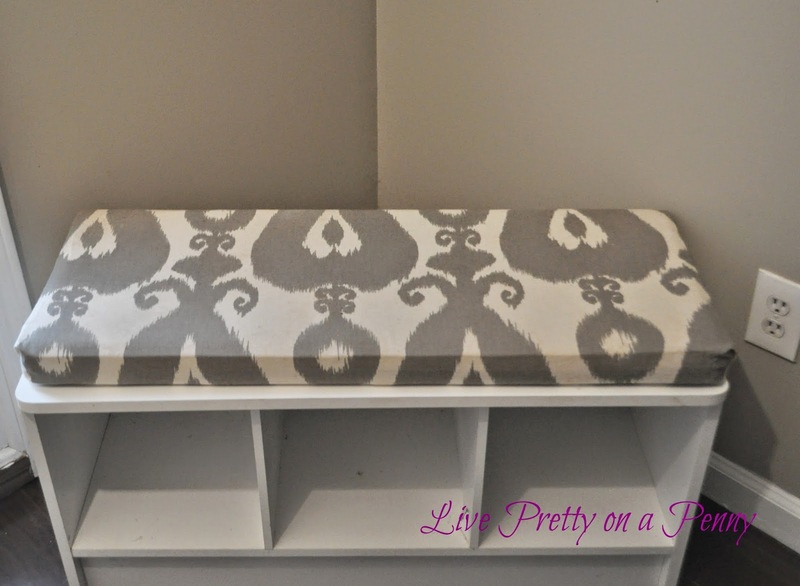 If you wanna know more about the DIY shelves above the bench, please check out my tutorial here. If you have any other questions, please don’t hesitate to ask. Erin, you did a great job upholstering that bench and you pulled the look together perfectly with such great accessories. 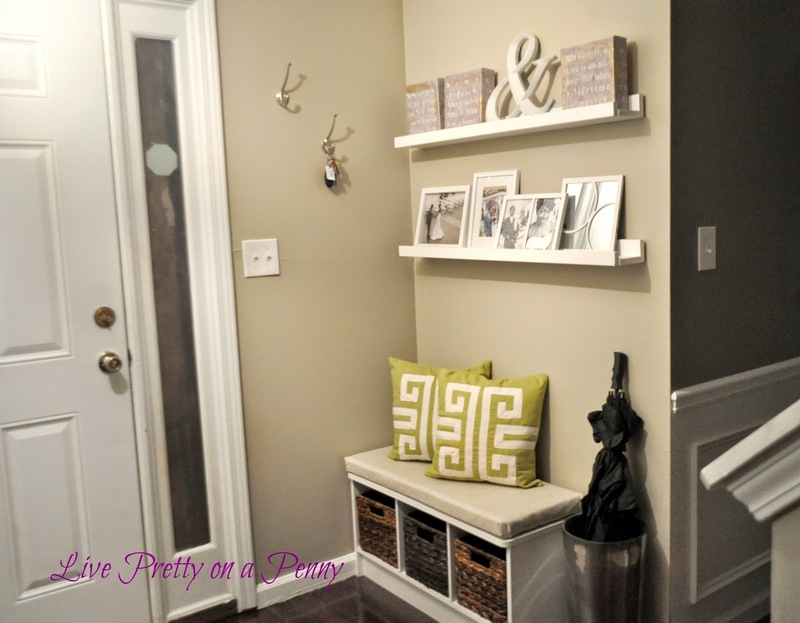 Your entryway looks so cozy and inviting. Thanks Dee D. I enjoy walking into the house with the changes. It looks so much nicer! 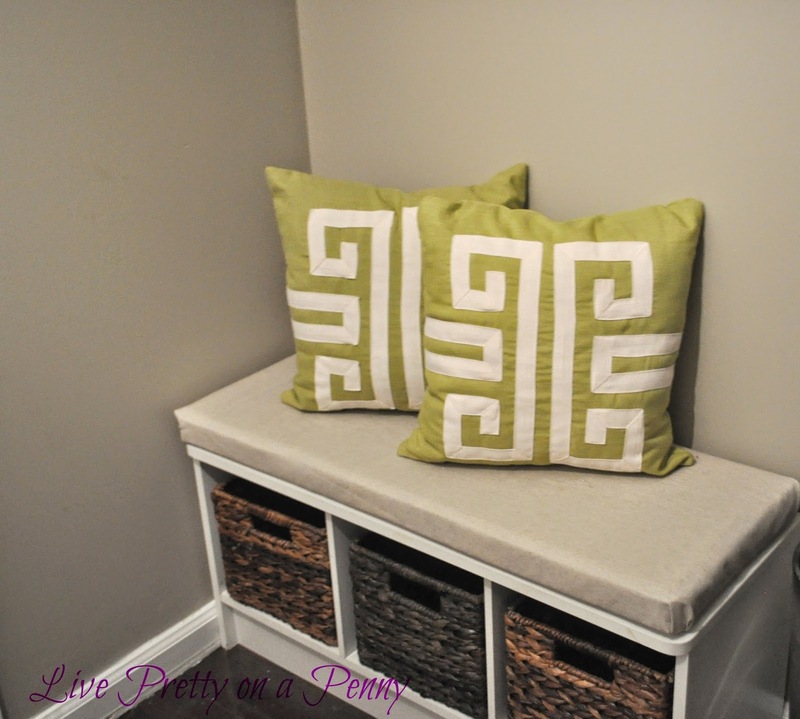 It wasn't bad at all before, but the new fabric, pillows and new arrangement on your shelves look more pulled together!! Great job, friend. It looks so good! I love those pillows! pretty, pretty and mo pretty! 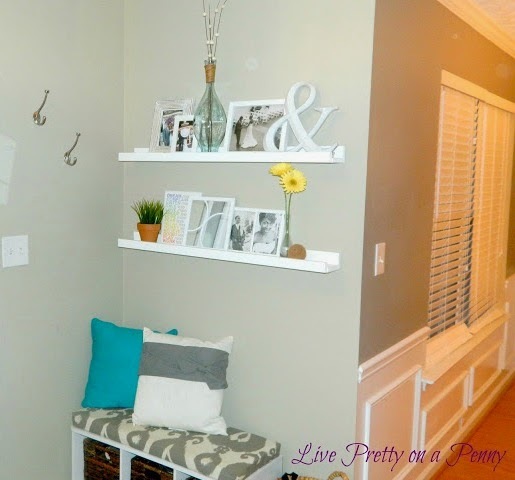 This looks really great Erin, I love how you did simple and inexpensive this to livin u p the area. Thanks Keoshia. Nothing like a quick update to change things around!